April is a month that boasts two days to do something to help the environment – Arbor Day and Earth Day. You’re sitting in your home relaxing, catching up on the novel you’re dying to read, when an all-too-common feeling overtakes you – the draft. *Notice: There is a lot of confusion on this topic. As of the date of publication, it appeared the tax credit would be available to homeowners for 2018, whereas Congress only passed part of the bill. This is subject to change at any time, as this Bill is currently before Congress and could include home insulation. Please check with your tax preparer. Foam insulation already saves you money on your monthly energy bills and in some cases with rebates, but now you might even be eligible for a federal tax credit for insulation. You’ve finally done it. You found the home of your dreams and made the leap into becoming a homeowner. The colder winter weather is working its way into your area and making your home unbearably cold. Some people love it, while others shiver at the thought, but either way it is inevitable – snow is coming to Michigan. Why is My Gas Bill So High in the Winter? The cold winter weather is on its way and for some homeowners that also means high gas bills. 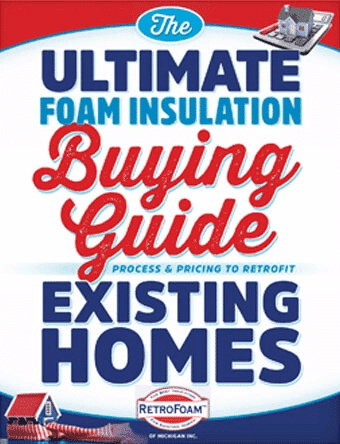 The saying goes “out with the old and in with the new” and it’s true when installing foam insulation in your home. Why is My Electric Bill So High in the Summer? Like most of us, you are probably wondering why your electric bills are so much higher in the summer.